● Timer function for hands free use. 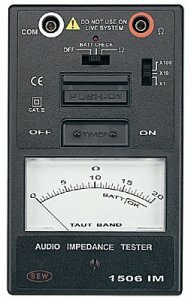 ● The tester measure with a frequency of 1kHz. ● Measure speaker lines (connected to load). ● Help to calculate and check audio power systems. ● Ideal for public address installation and maintenance.